Investors concerned over the financial markets continued to seek solace on Tuesday with the traditional safety of precious metals over a volatile stock market. 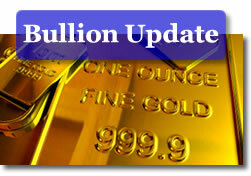 New York silver, gold and platinum futures climbed 0.8 percent, 1.8 percent and 4 percent, respectively. As if to mark the latest surge, as of Monday, physical demand for the yellow metal has outstripped the U.S. Mint’s supply of several gold coins. November crude moved above the $90 barrier after experiencing four previous day losses. It gained $2.25, or 2.6 percent, to end at $90.06 per barrel. December silver gained 9 cents to close to $11.38 an ounce. October platinum climbed $39 to end at $1012.20 an ounce. December gold surged higher by $15.80 to close to $882 an ounce. "Gold prices widened their trading range ($860 to $890 overnight) but the bias favored advances to higher ground, as safe-haven buying received further participants from among anxiety-ridden global investors," said senior analyst Jon Nadler at Kitco Bullion Dealers. "As the going got tougher, gold got going. The metal once again faces a good opportunity to make an assault on the $900 to $925 range – a feat that has run into a few snags of late," continued Nadler. Gold generally follows oil’s direction and moves opposite to the U.S. dollar, as a weakened dollar encourages investors to buy gold, also considered a hedge or safe-haven during times of high inflation and economic uncertainty. Check out CoinNews market resources at Live Silver, Gold & Platinum Spots, the Silver Coin Calculator and the Inflation Calculator.